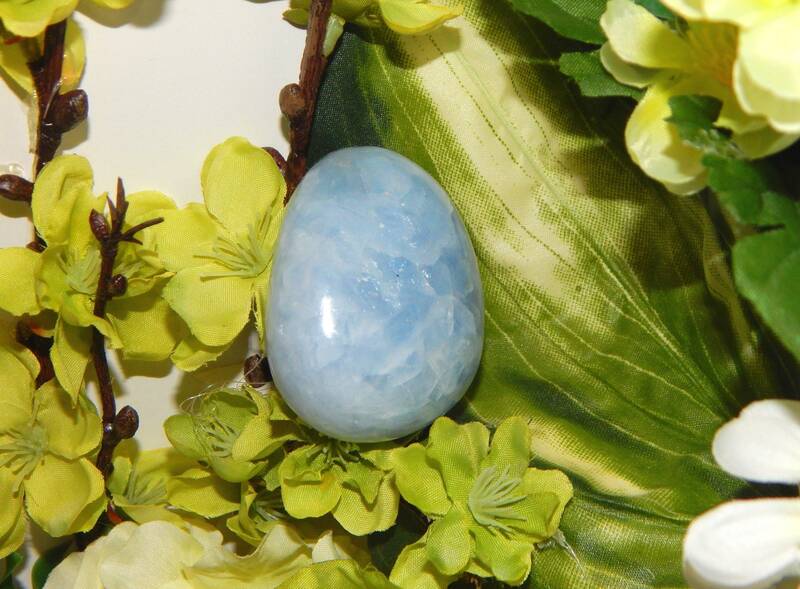 This is a beautiful blue polished Celestite (Celestine) palm stone with plentiful shiller. It has a very soothing energy and weighs 94 grams. Celestite formations are usually rather fragile, however this smooth polished piece would be perfect for personal use and reiki applications. 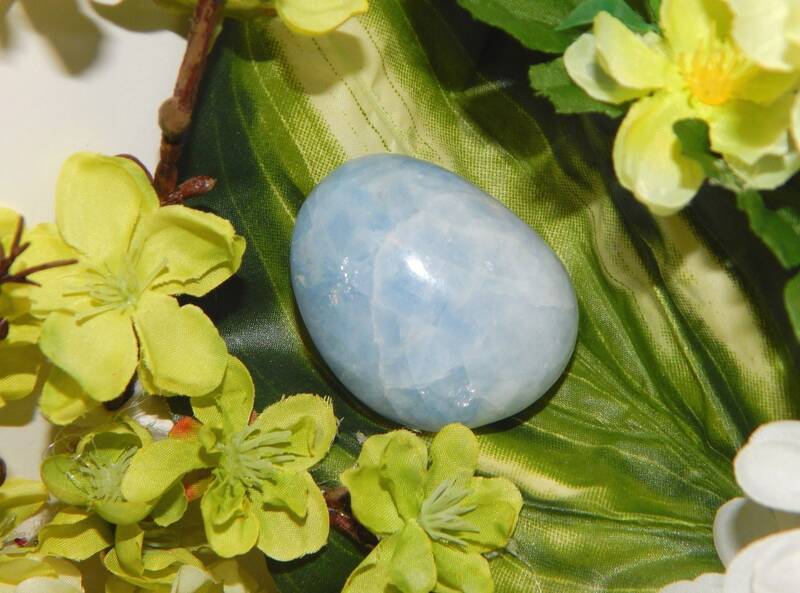 Celestite is a sweet blue crystal, with a lovely gentle uplifting vibration. While it seems on the surface to just be a crystal with a sweet and gentle energy, it has a strong stimulating effect on spiritual and psychic gifts. 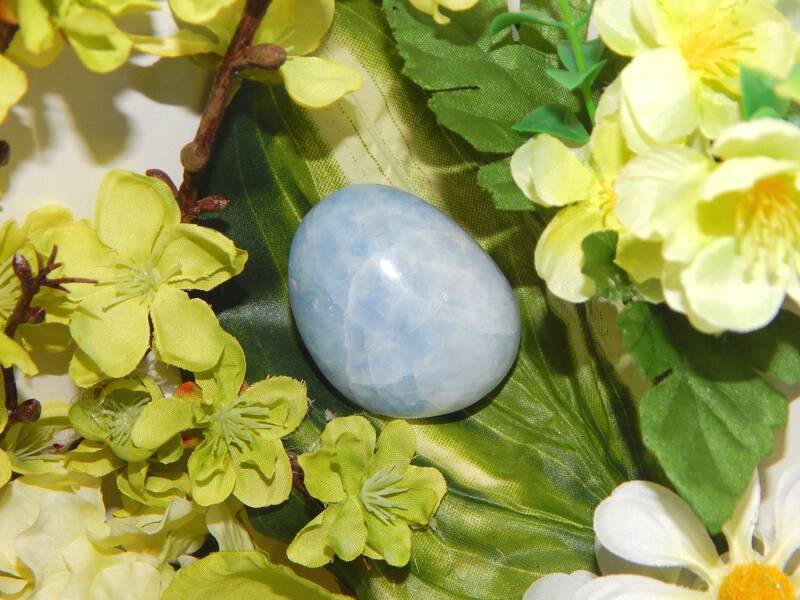 It has strong metaphysical properties that will help you to develop the gift of prophecy, and other psychic abilities. 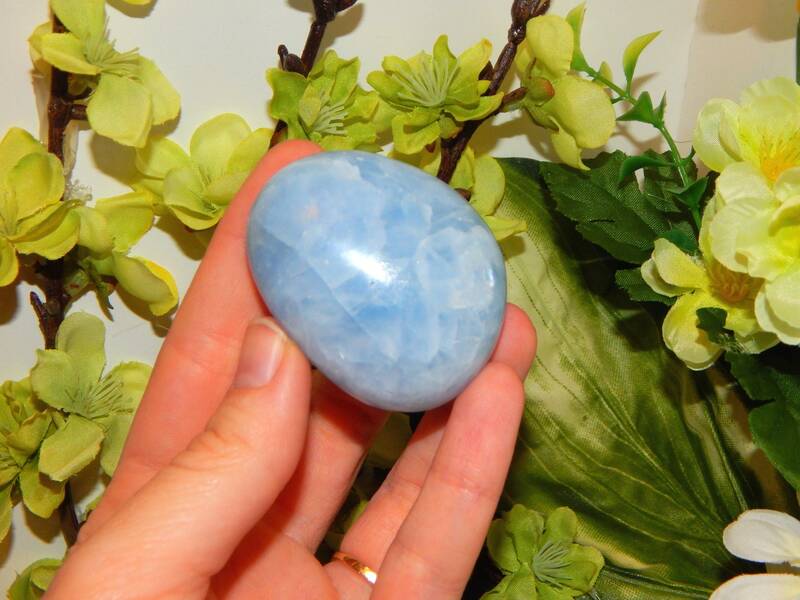 A peice of this lovely blue stone in your room is excellent for your emotional state as it is calming and uplifting. It aids mental clarity as it clears and sharpens mental faculties. How can you use this very beneficial stone to use to elevate your spiritual growth, and will it aid you to contact your guardian angels. I strongly encourage researching the metaphysical associations of this beautiful stone.